Congratulations, it's official! Classic, to the point, a simple "mister" and "misses" will let the world know that you are tying the knot. 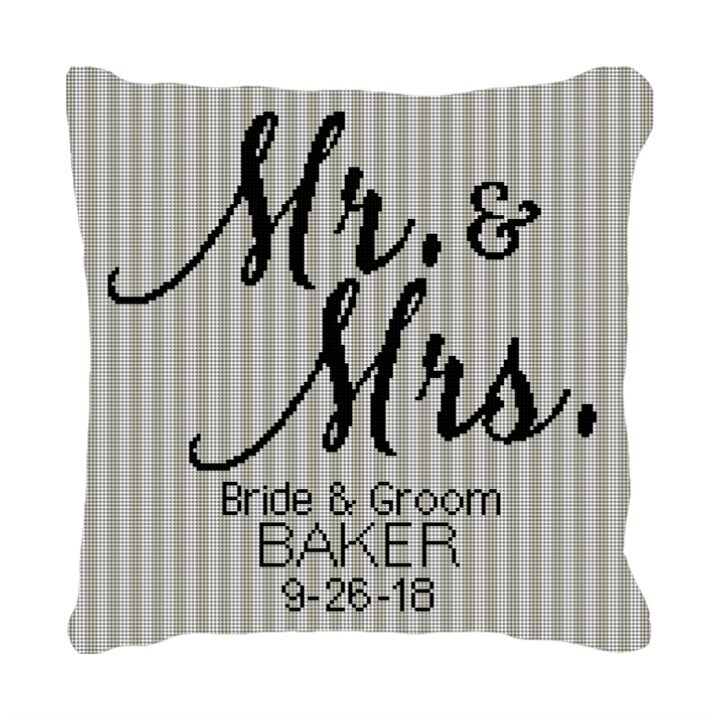 Designed with elegant pin striping and a beautiful script; this pillow is completely customizable with your wedding colors and of course your new name. Stitch this needlepoint pillow canvas and add that special touch to the bride and grooms wedding ceremony. A ring bearer pillow for the ceremony, then later to become a fabulous keepsake pillow for the newly married couple's home.